As children we roamed the fields, forest, and streams in our neighborhood. We enjoyed building with mud, dry grasses, and bark. We played hide and seek in corn fields. We came home happy, content, dirty, hungry, and ready for bed. Children today very seldom get to enjoy the outdoors. Not just learn about the outdoors, really enjoy the feel of the moss between their toes, the feel of bark when you lean against it, the sound of a tree with the wind gently blowing, or the smell of a stream. There is something therapeutic about being outdoors, being away from the stresses of the day. Letting go of disagreements, school, relationship worries, and so forth, simply being in the present. We do our children a disservice by withholding the rich experiences nature can offer. In “Magic Trees of the Mind” Marian Diamond, Ph.D. argues that we provide impoverished environments for our children. “It doesn't take the orphanage scene from Daviod Copperfield to qualify as an impoverished environment. All it takes is a toddler sitting alone and passive for hours in front of a television set, dreaming eyes of wonder glazed over, imagination shelved, exploratory energy on hold. Then throw in a bowl of potato chips and a soda...” (109). Robin Moore, a champion for outdoor play, who has written about the natural settings being essential for a healthy child development because it stimulates all senses, integrate informal play with formal language. According to Moore, multi-sensory experiences in nature help to build “the cognitive constructs necessary for sustained intellectual development,” and stimulates imagination by supplying the child with the free space and materials for what he calls children's “architecture and artifacts.” Natural spaces and materials stimulate children's limitless imaginations and serve as the medium of inventiveness and creativity observable in almost any group of children playing in a natural setting, “ says Moore. (Louve, 85,86). Giving children few, but quality toys can aid parents in helping develop their child's multisensory experience in nature along with a healthy dose of imagination. Simply learning to dig sand that is wet, sand that is dry, sand that is mixed with leaves, and so on, can teach a child about natural matter. The child will playfully learn physics as they dig and dump sand. They can learn about the cut bank and the slip-off slope of a meandering stream by adding water to the sand or dirt. By being allowed and encouraged to learn in nature, the child develops a keen sense of themselves as part of nature. Sandboxes can become excavation pits and the child is the operator or CEO of the operation. Outdoor play is so much more for children than simply being outdoors, all their senses are involved and get used and honed out to sense changes around them. 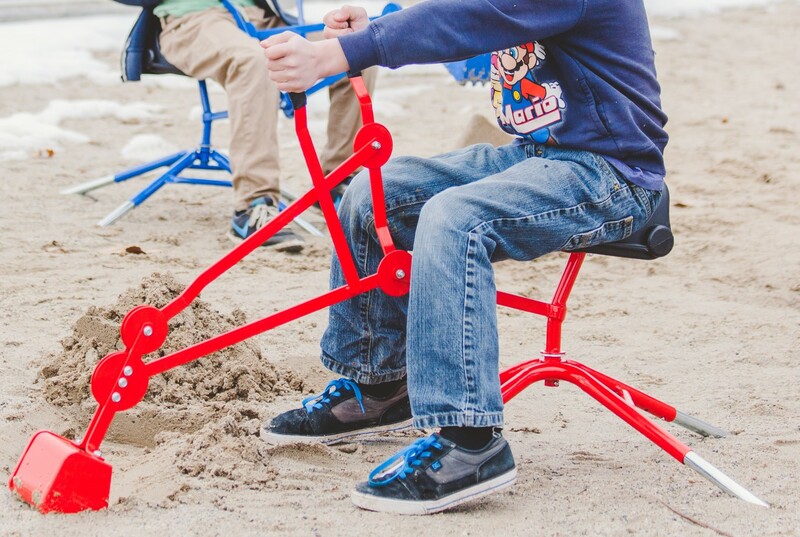 A quality toy will assist your child in spending therapeutic time outdoors. Deepak Chopra, a well known Doctor and co-founder of the Chopra Center for Wellbeing is a world-renowned pioneer in integrative medicine and personal transformation. He is board certified in internal medicine, endocrinology, and metabolism. He is a Fellow of the American College of Physicians, a member of the American Association of Clinical Endocrinologists, and a clinical professor in the Family Medicine and Public Health Department at the University of California, San Diego. He is the author of more than 85 books. He recently published a newsletter through his Chopra Center for Wellbeing, with several ways to improve your mood. Written by Emily Holland, who is a certified health coach. What she suggested, and has obviously lots of experience with from her line of work, all rang true for my children as well. Some simple things seem to make a huge difference in how well my children feel and what mood they are in. In other words, serotonin is a feel good neurotransmitter. It helps us feel happy and be in a good mood. More outdoor time, more serotonin production, more happiness and good mood. Holland suggests you spend time outside, maybe a walk, some exercise in nature to get the most benefit out of being outdoors. My children play outdoors for several hours a day. It helps them relax and be in a good mood, be more pleasant to be around, and more easy going. We have quality outdoor toys to lure them outside and keep them occupied for lots of imaginative play. A sand box digger can keep a child outdoors for hours simply shoveling sand, rocks, dirt, or snow. It gets used all year, every Season, just in different ways. Smelling the fragrances of the outdoors will assist in putting your child in a good mood. Outdoor play is a place for a child to relax, to live in the present, to explore, imagine, to make memories and to build a healthy foundation for the future, storing up serotonin and memories of the fragrances around his or her play. 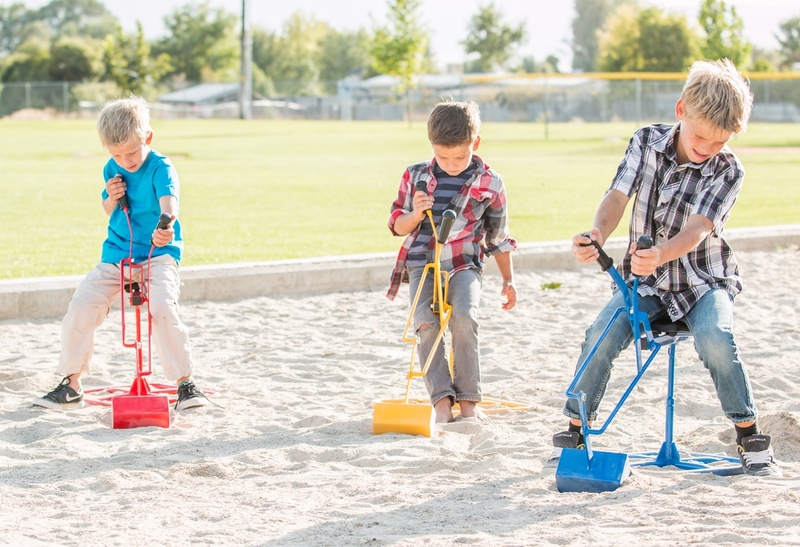 The best thing you can do to help your children have a balanced happy life, get him or her some quality outdoor toys, like a quality sand digger, and send them outside to play. Welcome to our online store! Our team is excited about our new shopping cart with its upgraded features and look after several years with an older cart. If you have any questions about this store or the products found within, please don't hesitate to contact us any time. Our website has been carefully designed to provide you with an amazingly flexible online shopping experience, and its ease of navigation is something we think you'll grow to depend on and appreciate. Feel free to browse our entire product catalog, and let us know if you have any questions, comments or concerns about the items housed within. Our team is always ready and willing to assist our customers, and we are happy for your visit.